Just Mercy is a non-fiction account by lawyer Bryan Stevenson of one of his early cases trying to exonerate a man on Death Row, plus a look at the current state of the U.S. justice and prison systems that basically floored me. This book gets compared frequently to To Kill a Mockingbird and it’s an apt description. I don’t think of myself as a rebel at all, but when it comes to Tell Me What to Read books, my closet rebel seems to come out and I read the books in whatever order I darn well feel like. (Also, which library holds come in first). So even though Just Mercy by Bryan Stevenson was the June book, I just finished it last night and I couldn’t wait any longer to tell you about it. Just Mercy is a non-fiction book by Bryan Stevenson. He’s a lawyer, and now the executive director of the Equal Justice Initiative in Alabama, plus teaches law at NYU law school in all his spare time (this was one of those books that you read and think . . . “does this man actually ever sleep?”). His life work centers around fixing the many many problems in the U.S. justice system, including legions of racial issues, children being tried and sentenced as adults (and sent to adult prisons), the death penalty, and how massive the prison system has become in the U.S.
“Just because you’ve got the emotional range of a teaspoon doesn’t mean we all have,” said Hermione nastily, picking up her quill again. I’m doing laundry over here and Bryan Stevenson is saving the world for all of us. A Just Mercy summary isn’t super straight-forward because it has one specific storyline woven into a larger discussion and the story goes back and forth between the two. The main storyline is about an African-American man named Walter McMillian. He was put on death row in the late 1980s for the murder of a white teenage girl who was shot three times at the dry cleaners where she worked. But when Bryan Stevenson met him, Walter was INSISTENT that he didn’t kill her. Bryan Stevenson promises to look into it, and when he does, it seems pretty clear right away that he’s telling the truth. The amount of evidence to prove him innocent is fairly astounding (like the fact that a fundraiser for his church was taking place at his home during the time of the murder, 11 miles away, and dozens of people saw and talked to him during that time period, including a police officer who noted it in his police log) and the evidence against him is shaky at the very best (basically hinging on two witnesses that were co-erced by law officials who were feeling very antsy about the public backlash surrounding how long it was taking them to find the murderer). What’s so heart-breaking is that even after it’s very clear that Walter is innocent, it’s not as easy as just releasing him from jail. He was sent to death row even before a trial and when the jury condemned him to life in prison without parole, the judge overrode that decision and sentenced him to death. But it requires about ten thousands hoops to jump through to get the case appealed and anyone even willing to look at it. In between that drama playing out over the late 1980s and early 1990s, Stevenson discusses some of the larger issues going on in the legal and prison system, with lots of case examples that will basically break your heart right in two. There are stories of 13 and 14 year olds being tried for crimes as adults and sentenced to life in prison without parole, or people with significant mental disabilities sent to prison where their problems are exacerbated. It’s just so horrifying to think of all these people spending their lives rotting away in prison after a quick trial that clearly didn’t take in to account many important facts or had an appointed lawyer that didn’t have the capacity or ability or interest to help out their client. I didn’t feel for a moment like Bryan Stevenson was saying that prisons are all bad or that no one deserves to go to prison, but there seems to be no question that there are massive problems with how and why so many Americans are sent there. And the whole system also costs a FORTUNE. In 1980, spending on jails and prisons between states and federal funding was $6.9 billion. When this book went to press in 2014, that number was at almost $80 billion. Prison building and prison running is generally done by private contractors and so the more people who go to jail, the more money they make. So laws and punishments are getting harsher (Bryan Stevenson met one woman who was sentenced to more than 10 years in prison because she’d written five bad checks to buy her children Christmas presents (none of the checks were for more than $150) – he couldn’t believe it when she told him but when he checked her file he discovered that was exactly what had happened) and, of course, these laws and punishments tend to be applied much more stringently to minorities and poor people. 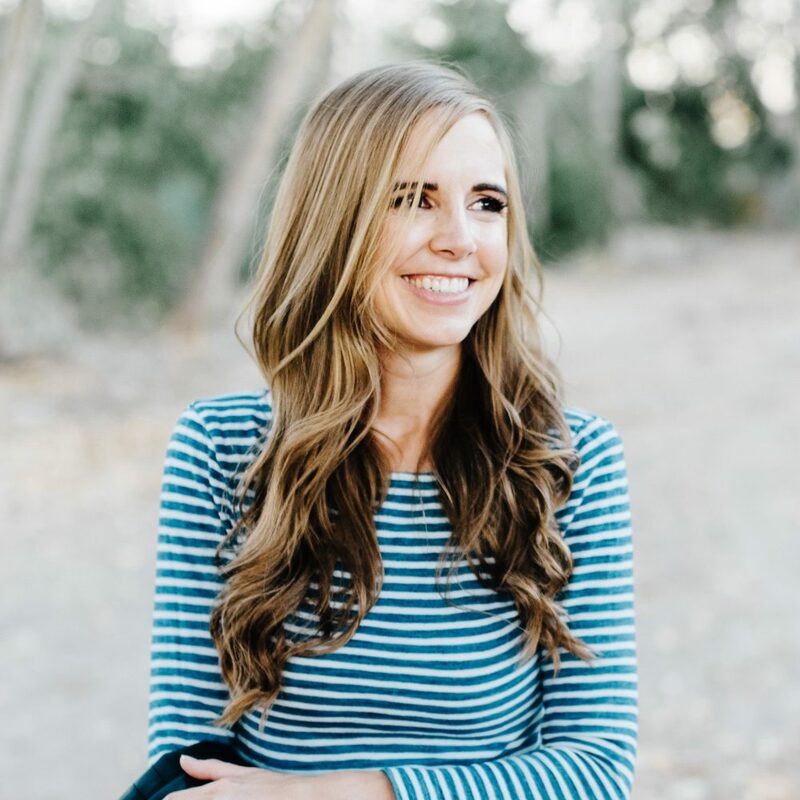 This book was one of those ones you can’t put down – I just was so anxious to see how it would play out and the pacing was spot on, with writing that was so engaging. 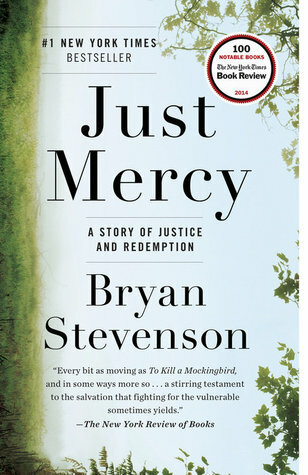 I read a paper copy, but I’ve heard that the Just Mercy audiobook is also fantastic with Bryan Stevenson narrating it himself. My only complaint about the whole book is that I wished there was a section at the end about what regular people can do to make a difference. I’m obviously not a lawyer, so I won’t be defending anyone in court, but I would have appreciate even a paragraph or two about what can be done in local communities to help with the problems he addressed. If you’ve read Just Mercy, I’d love to hear what you thought too! Go to the Equal Justice Initiative website (eji.org) and at the bottom click on “Get Involved.” There are a lot of ideas on how you can help. I’m going to be thinking about this book for a long time. There were a lot of things that were heartbreaking…but also so many things that were heartwarming. Bryan Stevenson is more than just a lawyer, and I was so impressed with the many ways that he goes beyond the call of duty to love and serve. I learned a lot about ministering and Christlike love from this book. Highly recommend the audio version read by the author. He also has an excellent TED talk. Thanks for this review! It sounds like you would also really appreciate the New Jim Crow, about the roots of mass incarceration in America. Goes into detail about how problems in the system at every level has created segregation and racial injustice. She recognizes the book doesn’t have the scope to discuss solutions but she touches on the need to change not just policy but our overall culture. I saw that one recommended on Amazon when I was grabbing a link for this one and it looks amazing! I’ll definitely check it out. I second the recommendation for The New Jim Crow. Such an excellent and well-written book. Ah! It’s one of my favorite books ever (even though basically every character he introduced left me in tears) and I’m so glad you read it too! You’re the best source of really amazing non-fiction I know of, and I’m excited that you got to read this, and that you can compare this to other books now! Thank you so much for that REALLY nice comment! I was mildly interested in this from seeing it on your Instagram stories a little while back, but now I know I HAVE to get my hands on it, and I think my husband would really like it too. I’m going to check to see if I can get it on audio from overdrive—sounds like the perfect commuting book! I saw this book on your tell me what to read list, and decided to check it out from my library. This book was so incredible, I haven’t been able to stop thinking about it since I finished it a month ago! I cried pretty much the whole time, and I agree, a section on how to get involved would be great! 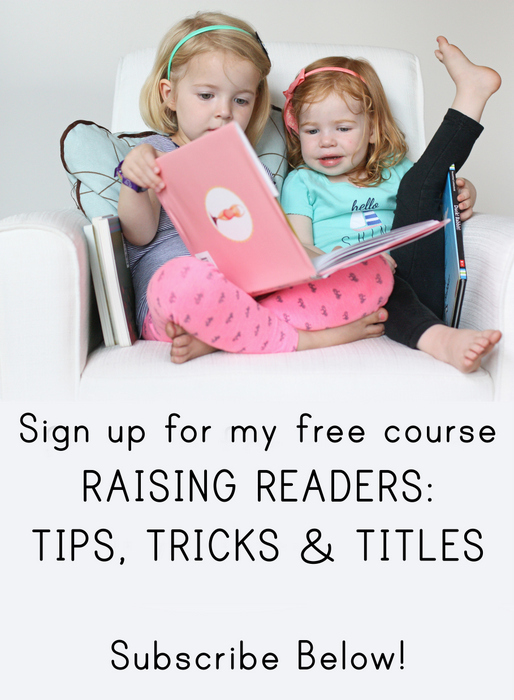 I read a lot of the books you recommend, and I love your nonfiction picks. I never read much nonfiction before, but now some of my favorite books are the nonfiction books you suggested! Thanks for producing great content, and awesome book lists. This is SO nice of you to say. Seriously, you’ve made my whole day. I think this bool should be required reading for EVERYONE. It is such an important and inspiring book. His chapter about how we are all broken is one of the most beautiful pieces of writing ever. I listened to the audio and it was excellent. I’m so glad I saw this on your Tell Me What to Read list and it was available so soon from my library because I thought it was SO fascinating and honestly not a topic I’ve ever spent much time thinking about and now I can’t stop thinking and talking about it! I told my husband to read it then I basically recapped the whole book for him on a road trip but I’m still hoping he’ll actually read because it’s so good! Did you know that the EJI opened a museum and monument about 2 weeks ago in Montgomery, AL? You can learn more about it here. I am on chapter 7 of the book and loving it. I’m shocked by the stories and grave injustices that have and still are taking place. Bryan Stephenson is amazing and his work is so import. Thank you for sharing about this book. Your review is so well written and I’m hooked! I’m listening to the audiobook by the author and it is wonderful. I just read a NYT article about it this week – it looks so amazing! I’d love to go see it in person someday. That sounds AMAZING! I’ve heard from several people what a powerful speaker he is – crossing my fingers someday I have the opportunity to hear him myself! I had this book recommended to me by several people and then when I saw it on your site, I was sold. I downloaded it before a four hour soccer trip,. It kept me totally awake, made the time fly by and when we got to Seattle, I did not want to get out of the car. Couldn’t wait to get back in the car the next day to drive home and be able to listen to four more hours of it. Last soccer trip I listened to My Lady Jane (another one of your recommendations) and felt the same way. Loved it. Thank you for the work you put into your site. I’m constantly telling people about it. It’s for sure one of my favorites. This is SO kind of you. I really appreciate you letting me know! Crazy! I just finished this last week. I must be channeling you from afar. We need to get together and discuss! And I second your plea to include a “what you can do about it” at the end of the book. When I closed the last page I felt emotionally spent, and somewhat helpless to help defeat the Goliath that is the justice system.